The ultimate throwback show has arrived!! 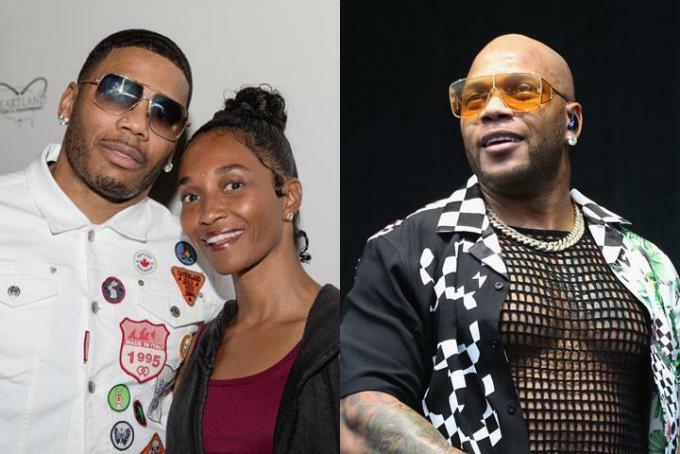 Put your hands together as Nelly, TLC & Flo Rida all take to the stage this Summer… That's right Hiphop and R&B fans eat your heart out as their concert brings classic tracks from the 90's – 2000's, in one show! If you love to feel nostalgic and you think your friends would too then grab the chance to be there! Tickets are on sale for their DTE Energy Music Theatre date as they head on down on Saturday 17th August 2019! Nelly hardly needs an introduction as one of the biggest names on the R&B and Hiphop scenes… with his debut release "Country Grammar" the talented artist quickly became a superstar and he never looked back. With sales of over 8.4 million records in the US alone, Nelly was pushed up right into the mainstream limelight and gained positive feedback and reviews from critics and fans alike. As a top 10 artist, Nelly was an instant success and after his solo breakthrough, he went on to collaborate with several global stars like himself. Including of course the early 2000's hit with Kelly Rowland on 'Dilemma' aka "My Boo." As well as his collab with the previous Destiny's Child member, he has also worked along side Justin Timberlake, Murphy Lee, St. Lunatics and more… Known all around the world for his music, Nelly is one of the best selling rap artists of all time! Get ready to catch some unforgettable chart topping anthems as both bands take to the DTE stage along with Flo Rida… it's going to be a night to remember with all of their classic songs from the 90's – 2000's. This once in a lifetime experience won't come around again so whatever you do – don't miss it! Tell your friends, Nelly, TLC and Flo Rida are back on tour and you can be there! !